We’re full of hidden talents here at Bannisters Yorkshire Family Farm. Aside from our obvious talent for baking the tastiest spuds, of course, we have amongst us an Iron Woman triathlete, an expert cake decorator, a competitor in the Invictus Games and now, it appears we have a dedicated knitter of poppies in the form of Demi, from our marketing team. Demi, who learned to knit only 18 months ago, has spent some of her spare time during the last year knitting poppies to raise money for the Royal British Legion Poppy Appeal. After watching her mum knitting, Demi decided she wanted to mark the 100th anniversary of the end of the First World War by knitting 100 poppies to donate to the appeal. 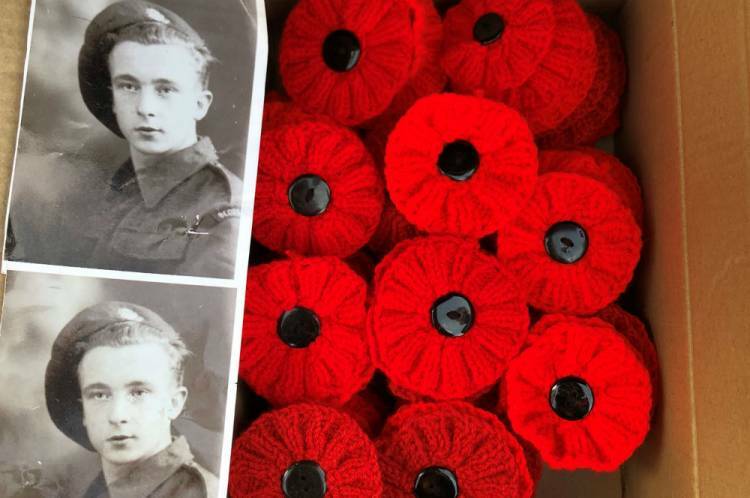 She exceeded her own expectations when, with the help of her mum, she ended up knitting over 130 of the commemorative flowers. Needless to say, all Demi’s poppies have now sold, raising hundreds of pounds for the charity which provides financial, social and emotional support to members and veterans of the British Armed Forces and their families. We’d like to say a big “well done!” to Demi for such a brilliant achievement in support of such a worthwhile cause.